For catering inquiries, please email us at info@jejunoodlebar.com. Inquiry must be made 72 hours or more in advance and food must be picked up. For large party inquiries, please email us at info@jejunoodlebar.com. We are primarily a walk-in restaurant. We offer very limited reservations and hold the majority of the tables for walk- in guests. We encourage all our guests to walk-in and we will accommodate your party as soon as possible. The name, Jeju Noodle Bar, comes from the island located off the southern coast of the Korean peninsula. Jeju Island is well known for naturally farmed pork and abundant fresh seafood. The famous South Korean island attracts mainland natives as well as tourists from all over the world, all year around. Jeju, in Korean, also has a few different definitions such as “skill, talent, ability”. The close Korean equivalent of the Japanese Ramen, Ramyun is a comfort dish enjoyed by Koreans of all social class and ages. 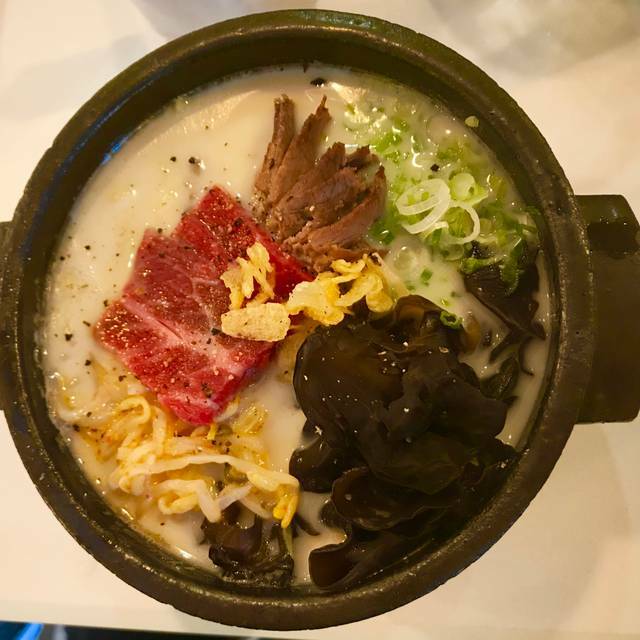 At Jeju Noodle Bar ​our main focus is to allow diners to experience and savor the distinct Korean flavor by using different techniques & ingredients from chef Douglas’s experiences. The service here was impeccable. Every step of the way, the staff genuinely cared that we enjoyed our meal and that they delivered a high quality experience. It really showed. This is my first restaurant review ever. The reception was extremely rude, even with the reservation still had to wait for 20 min. the 2 different noodles we had were both very salty(one with truffle the other one with Wagyu beef) the only thing that was good was toro Ssam bab. 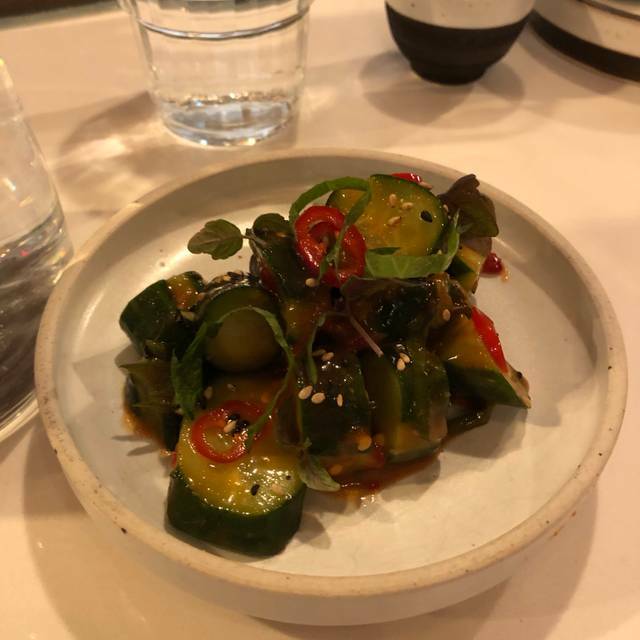 Cucumber kimchi was nothing special. I had high expectations based on all the good reviews. I felt bad I had recommanded this restaurant to my friend. She didn’t enjoy it either. Very disappointed. Service was just ok. Wouldn’t recommend this restaurant at all. Wouldn’t come back here either. The food was so delicious. We especially enjoyed the toro ssam bap with uni. Jeju Noodle was fantastic ! I’ve been here three times already. Each time I walk away with full belly and warm heart. 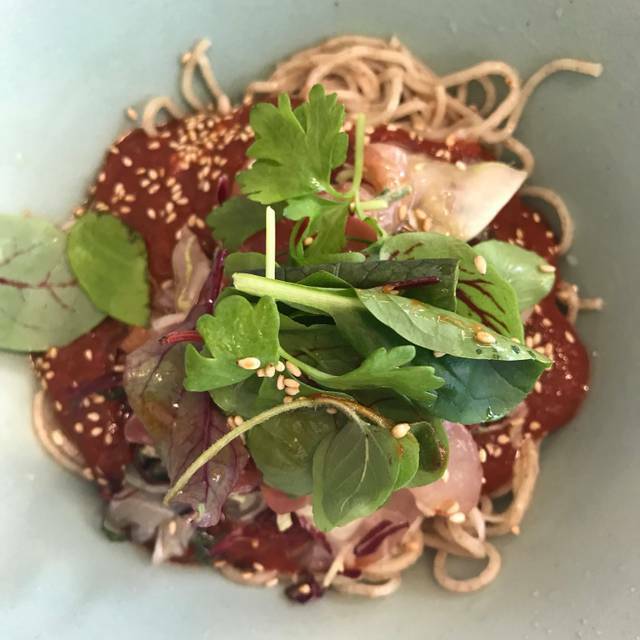 Every dish is excitingly new, yet it’s a lovely nod to korean soul food ingredients. I loved every bite of it. Service is also top notch, and their drink selection is just great. So glad that I finally got around to try this Korean ramyun/noodle joint. 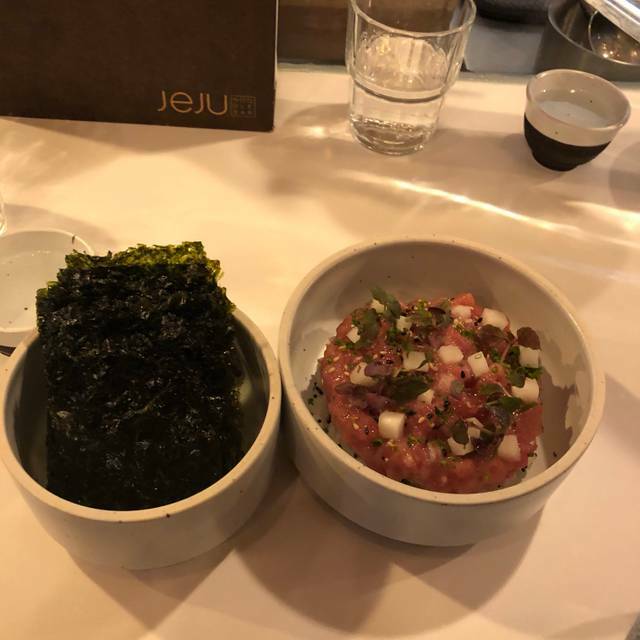 JeJu made 1 Michelin star list this year in 2019, and food wise I think they really deserved it. Our reservation was at 7pm for 4 ppl, 3 of us got there about 15 mins early, and they were nice to seat us anyway. 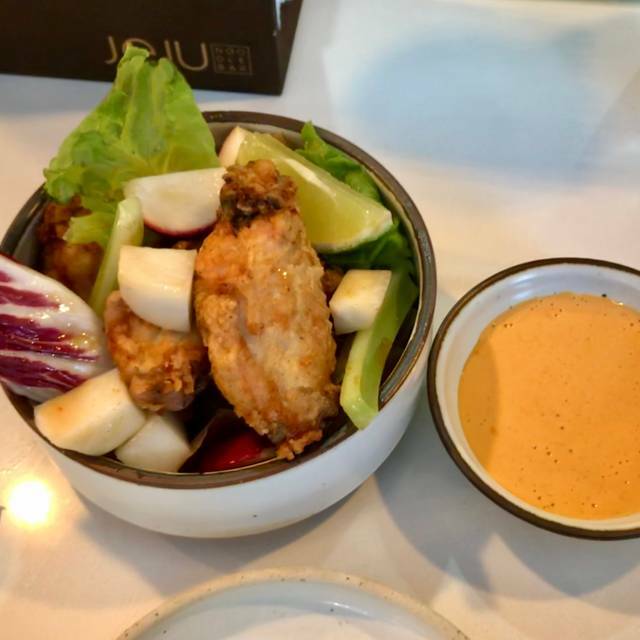 For starter, we ordered JeJu fried chicken wings, squid & nuts, and Toro ssam bap(highly recommend). On the noodles, we tried the So ramyun (beef) and Gochu ramyun (pork belly). EVERYTHING was tasty, squid and chicken was tender, noodle soup was very flavorful but not too salty or too overwhelming. Since this is Korean style noodle, so do not expect the same texture as Japanese reman. All in all, hands down their food is definitely one of the better places I've had tried in NYC. Will I come back again? Absolutely! This place is great...food, service, ambiance....fantastic!!! Everything was delicious. Courses were timed correctly. Ssam buns were unique and the seasonal wagyu raymen was to die for. Will return! 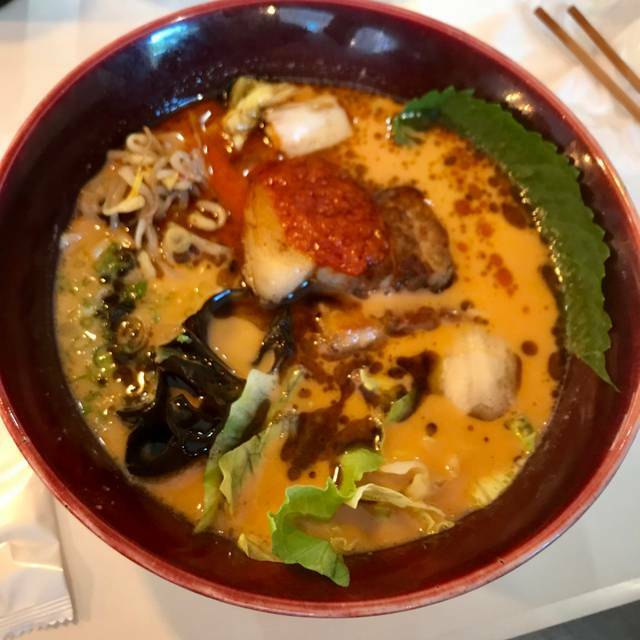 Their website stated Korean ramyun instead of the popular Japanese ramen so I was excited for my visit but after my meal, I was a bit disappointed because it tasted just like a Japanese ramen (yes, there is quite a difference between the two). 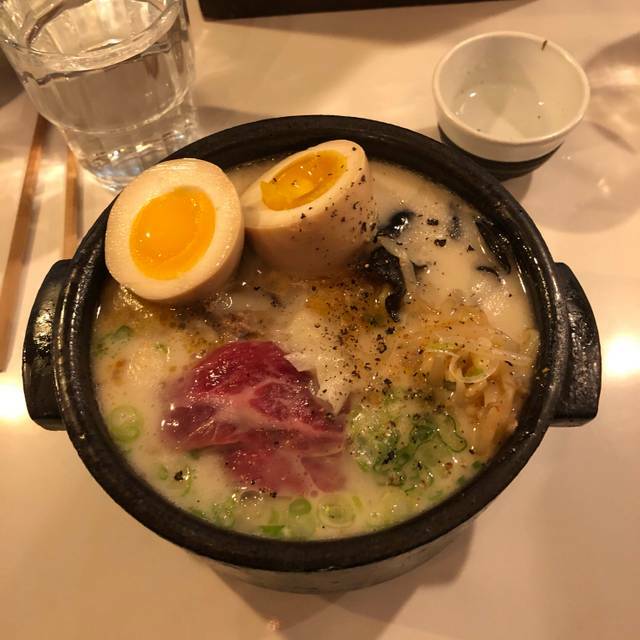 In my opinion, it wasn't worth the drive to the city because there are a lot of restaurants closer to me that tastes the same if not, better. Loved the spin on korean cuisine at Jeju Noodle Bar although I wouldn't necessarily call it innovative. The quality of each dish on the tasting menu was very high and each course was delicious. However, the service and ambiance of the restaurant was only sub-par. 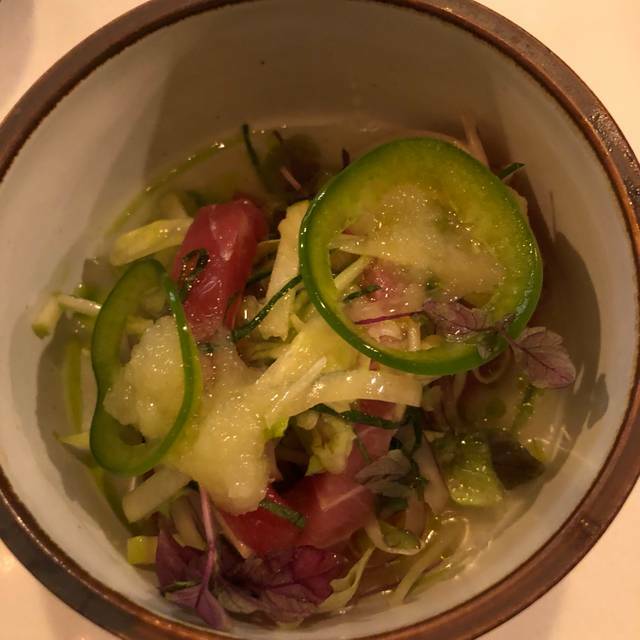 I appreciated that folks from the kitchen were bringing their dishes directly to the diners however there was a lot of plate stacking and confusion around service. At one point we were served a ramen dish that we were about to dive into only to have it taken away and brought to another table. Although I would recommend Jeju for the food, I would not come back a second time because of the poor service. Do yourselves a favor and try the toro appetizer. It was the best thing I’ve ever tasted. Best tasting menu. Great food. Great vibes. I’d definitely return again. Everything was delicious and service was amazing also. Delicious! Perfect in every way. Highly recommend! highly attentive to detail. food was seasoned precisely. simply delicious food. will be back for more. This place is so good! Never had Korean ramen before and found myself coming here twice in one week. 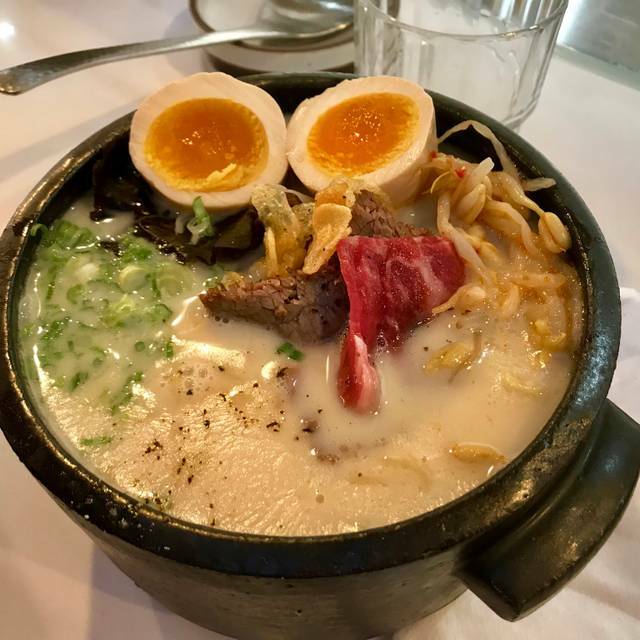 Love their take on the Japanese noodles and also love that they have pork buns for appetizer. I highly recommend their sparkling Riesling - I’ve never had anything quite like it. Light, cool, and refreshing - it went so well with the savory ramen. Très beau restaurant, service parfait et une cuisine metveilleuse, bravo chef !!! Service was hard to understand as different people kept coming to the table to take orders and deliver food. Dinner was too long in coming. But everyone was very polite and friendly and the food was delicious. Awesome flavors. Definitely coming back! !